Take Collaboration and Communications to the Cloud! 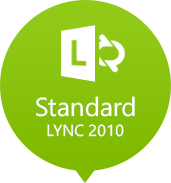 Microsoft Lync Secure Instant Messaging from C3 Teknologies gives you secure, business-grade instant messaging, presence and more in one solution, allowing streamlined communications with greater flexibility and control. 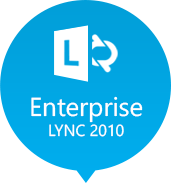 Lync is the next generation cloud-based instant messaging from Microsoft and integrates advanced web conference tools. You can manage instant messaging, voice chat, video chat, meetings and shared whiteboard sessions right from your PC. We offer a 99.999 % uptime service level agreement. Our multi-million dollar infrastructure includes datacenters featuring Dell, EMC and Cisco hardware and multiple connections to Tier-1Internet providers assuring high availability and the fastest round trip for your email. Our technical team uses state-of-the art tools to manage, identify, and proactively resolve service issues when they arise allowing us to provide maximum network efficiency and quality of service for our customers.